Winemaker's Notes: The 2014 Nobility, made in the Sauternes style, a result of the rare botrytis cinema "noble rot", is our seventh vintage. The berries are selected berry by berry and then barrel fermented and aged in New French oak. Fermentation lasted almost 5 weeks, after which point the wine was aged 26 months before bottling. The wine is 50% Semillon and 50% Sauvignon Blanc, and the grapes come from Gamble Ranch (Sauvignon Blanc) and Knights Valley (Semillon). 137 cases produced. Tasting Notes: Very well balanced. 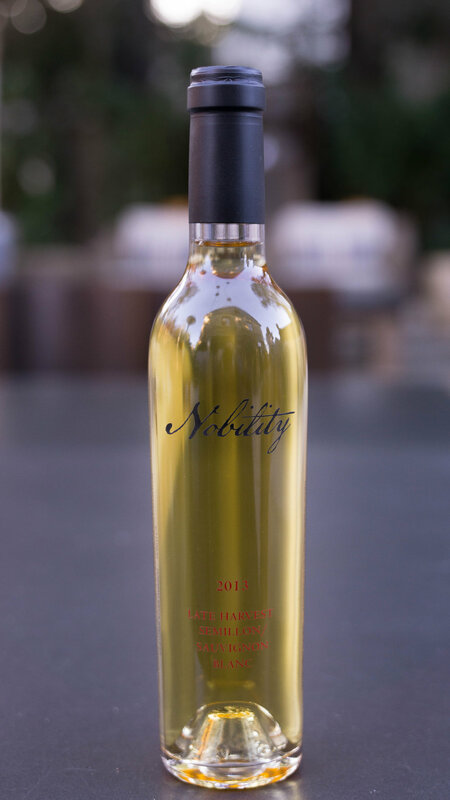 The 2014 Nobility is delicately layered with aromas and flavors of honey, apricot, vanilla, pear, toasty oak, fig, tobacco, and a balanced acidity that carries through to a rich, honeyed finish. The 2013/2014/2015 Nobility Vertical represents three excellent years compiled into one package. Each bottle is signed by Winemaker Roger Harrison and the wooden box itself makes a beautiful presentation piece, with or without wine wine bottles in it. Our vertical makes an amazing gift for any sweet-wine lover, and a true surprise when paired with rich foods. Pair with blue cheese-stuffed figs wrapped in prosciutto for a real treat! 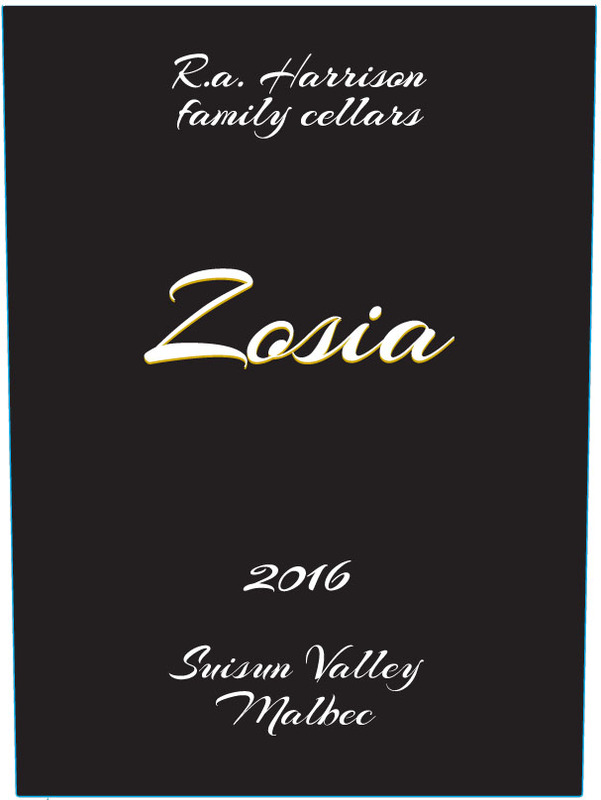 Winemaker's Notes: The 2014 Zosia Oakville Cabernet Sauvignon was produced from grapes from one of the premier vineyards of Oakville. Harvested late October 2014 at 26.5 Brix, the wine was aged for 18 months in 50% new French Oak. 92% Cabernet Sauvignon, 6% Malbec, 2% Cabernet Franc. 100 cases produced. Tasting Notes: Copious amount of brooding black cherry, blackberry, and creme de cassis. On the palate flavors of grilled meats, green olives, and leather add a complex taste profile. Big, sweet tannins are met with cleansing acidity to create a finish unlike any other. Please note: We now have extremely limited quantities of this wine remaining. Please inquire immediately to secure your order. 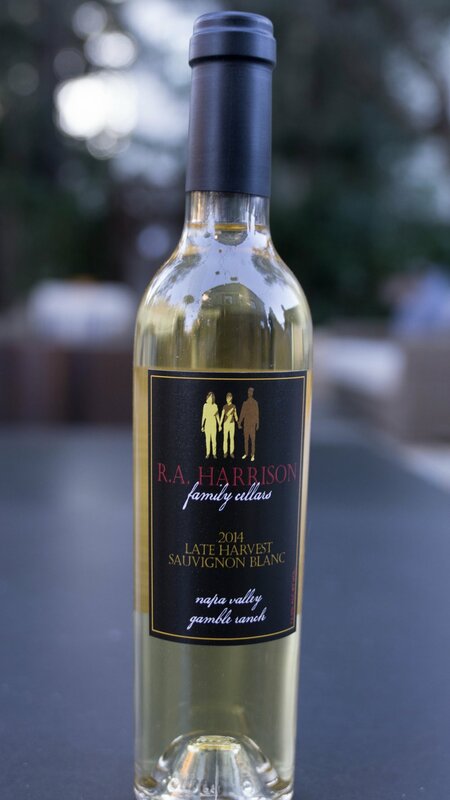 Winemaker's Notes: The 2014 Late Harvest Sauvignon Blanc was fermented in neutral French oak barrels, aged for 6 months and then bottled. Harvested December 1st, 2014 at 33 brix, the wine retains 13.4g/100ml residual sugar. I produced 119 cases. Tasting Notes: The wine is very elegant with aromas of honey, melon, and pear. The wine is balanced by a crisp acidity with lingering flavors of pear, honey, melon and sage. Be amongst the first to enjoy the new 2016 vintage of Zosia Proprietary Red from R.A. Harrison Family Cellars. Our Diamond Mountain Proprietary Red is a blend of Merlot and Malbec. It was aged in 40% new French oak for 18 months. 125 cases produced. Be amongst the first to enjoy the first ever Malbec offering from R.A. Harrison Family Cellars. Our Suisun Valley Malbec was aged in neutral French oak for 18 months. 75% Malbec, 20% Petite Sirah, 5% Graciano. 102 cases produced.